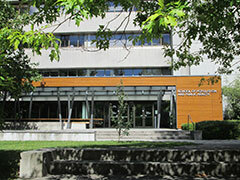 At its September 2009 meeting, the UBC Board of Governors approved the relocation of the School of Population and Public Health to the Library Processing Centre (LPC). The Library will vacate LPC by December 2009. To accommodate this move, the Library Processing Centre’s staff and services will be relocated within existing UBC Library sites, including Woodward, Koerner, and the Irving K. Barber Learning Centre. Preparations for moving LPC storage collections have begun with specific locations and timelines to be announced as details are finalized. We are working to complete this project as efficiently as possible, while keeping access to the resources by our users as a high priority. The Library is committed to maintaining all of our services during this transition. If you have questions or comments please feel free to contact Corey Sue, Director, Finance and Facilities, UBC Library corey.sue@ubc.ca 604-822-5903.